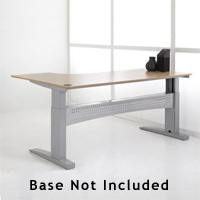 These tabletops provide a standard L-Shaped work surface which easily blend into most office settings and provide individuals with a familiar, conventional desk with return. The main work surface is 70"/ 82" (178 cm / 208 cm) wide x 29" (74 cm) deep. The return side depth is 47" (119 cm) with the extended part of the return 23" (58 cm) deep. 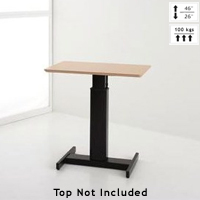 These tabletops are easily integrated into a cubicle or office workstation. The corner is rounded for the comfort of the user. The tabletops are available in Beech Melamine* or Beech Veneer* (on 0.875" thick MDF), with profiled lacquered rounded edges. Returns on the left and the right are available. A single grommet hole at the back of the tabletop (in the corner) assists in cable management. *Note: These tops are transitioning to a Melamine surface for the future but some are still available only in the Beech Veneer. 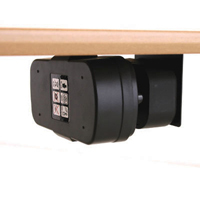 The specific model descriptions below indicate whether the product is Melamine or Veneer surface. 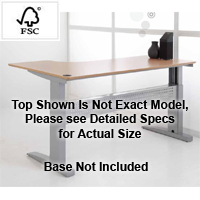 These tabletops provide a standard L-Shaped work surface which easily blend into most office settings and provide individuals with a familiar, conventional desk with return. The main work surface is 78.75" / 63.75" (200 cm / 160 cm) wide x 31.5" (80 cm) deep. 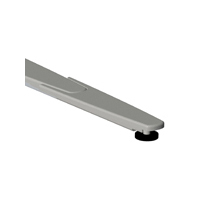 The return side depth is 47.25" (120 cm) with the extended part of the return 23.625" (60 cm) deep. 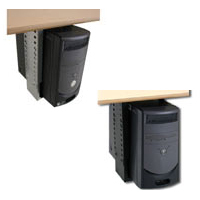 These tabletops are easily integrated into a cubicle or office workstation. The corner is rounded for the comfort of the user. These tabletops are available in a Beech Veneer (on 0.875" thick MDF), and are Triple Coated with UV hardened lacquer with profiled lacquered rounded edges. Returns on the left and the right are available. A single grommet hole at the back of the tabletop (in the corner) assists in cable management.